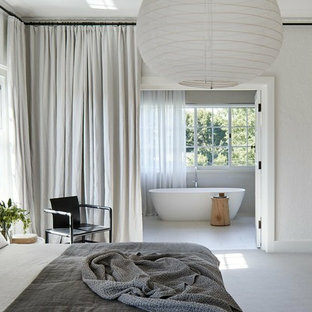 Inspiration for a mid-sized contemporary master bedroom in Melbourne with white walls and bamboo floors. 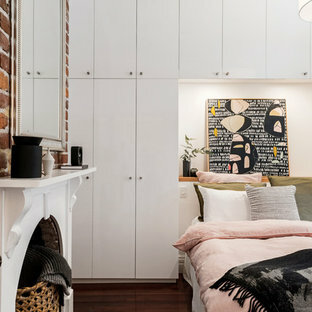 Inspiration for a small eclectic master bedroom in Perth with white walls, dark hardwood floors, brown floor and a standard fireplace. 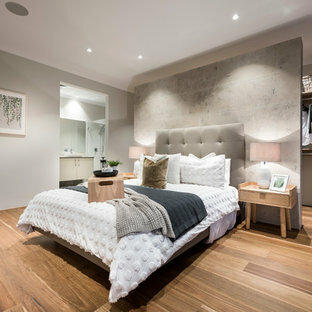 Contemporary master bedroom in Melbourne with white walls, no fireplace and grey floor. 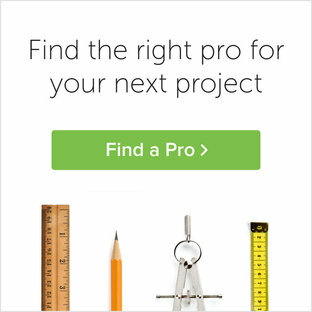 Design ideas for a mid-sized contemporary master bedroom in New York with white walls, carpet, grey floor and no fireplace. 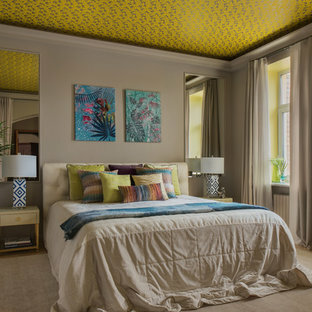 Photo of a transitional master bedroom in Moscow with grey walls, light hardwood floors and beige floor. Design ideas for a contemporary bedroom in Delhi. Inspiration for a small transitional bedroom in New York with dark hardwood floors and white walls. By Naor Suzumori Architecture D.P.C. Mid-sized scandinavian master bedroom in New York with white walls, dark hardwood floors and brown floor. Contemporary loft-style bedroom in Dublin with white walls and plywood floors. 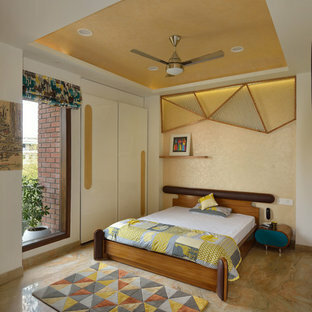 Design ideas for a contemporary bedroom in Bengaluru with white walls and no fireplace. 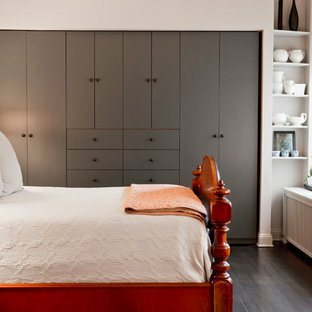 Photo of a country master bedroom in Atlanta with grey walls and light hardwood floors. Inspiration for a large transitional master bedroom in Hampshire with beige walls, carpet and beige floor. 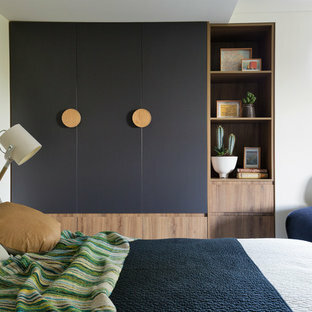 Small contemporary bedroom in Sussex with white walls, carpet and grey floor.